We’ll help you get enquiries for your business NOW. 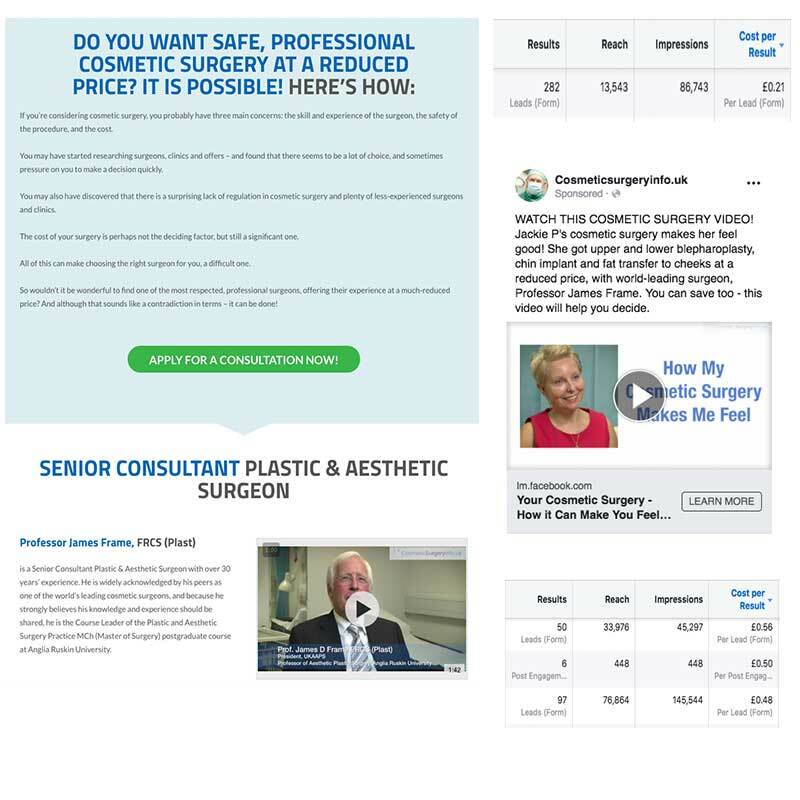 Our service is based on identifying who your ideal customers are, then creating your sales funnel – a campaign optimised to encourage the customer to contact you directly and quickly. 1. First, we hold a free initial consultation with you, to identify who your ideal customers are, and how we’ll reach them. 2. Then we create your campaign, and run a low-cost trial for 7 or more days – from only £147. 3. If we’re both happy with the trial and the enquiries you got, you pay an agreed monthly fee for us to continue creating, monitoring and modifying your campaigns. You can cancel at any time. We used Facebook primarily, as the ideal customers are fairly specific demographically. We created intro and testimonial videos that were also used in the campaigns to gain the all-important trust we needed. Facebook is used to target potential students globally, by their employment or education; Google campaigns are shown to people searching by relevant keywords. 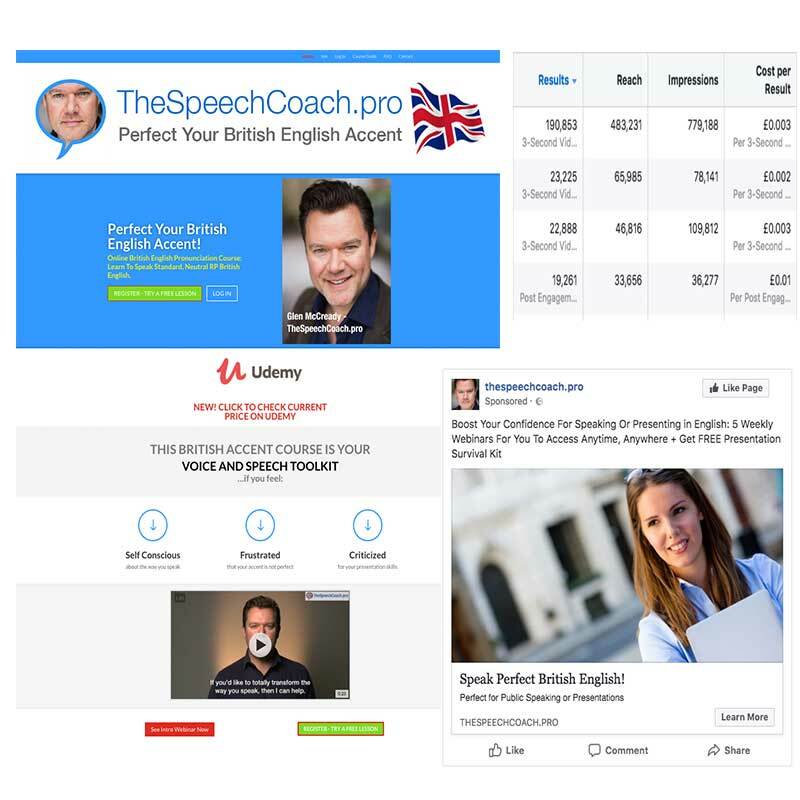 A HR provider for UK SMEs – we supplied a new landing page, logo and branding, video production, and Facebook and Google Ads campaigns, including our Facebook Monitor service – posts by people in our client’s target market are monitored, and our ads are presented when relevant subjects are discussed. FACEmed is a rare combination of dental, surgical, medical and aesthetic treatment under one roof. Our current solution attract new patients to their Invisalign clear braces service, with Facebook and Google Ads campaigns, a new landing page and a unique phone number.